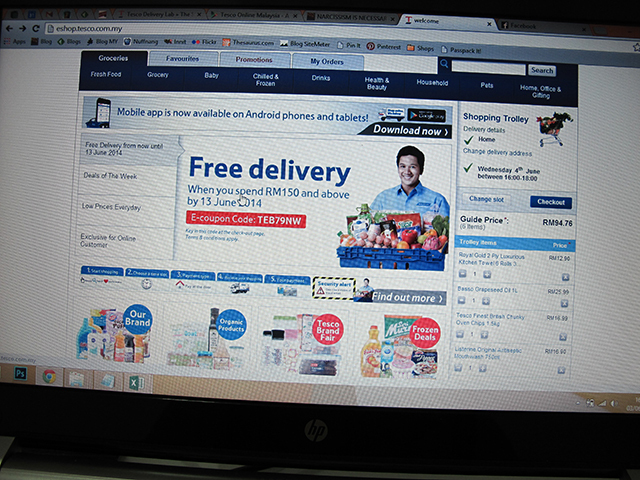 Shopping online with Tesco Malaysia – the best so far! If you searched for “Tesco” on my blog, you will find that I have over 11 pages worth of blog posts with at least a mention of my favourite store. Yes, I am a huge fan of Tesco and so is my husband. We’ve shopped at Tesco for almost 10 years! Our favourite section? Tesco Finest of course. But we also regularly buy staples like bread, cleaning solutions, toilet/kitchen rolls, wipes, sundries, fresh meat, toiletries and many more from Tesco. 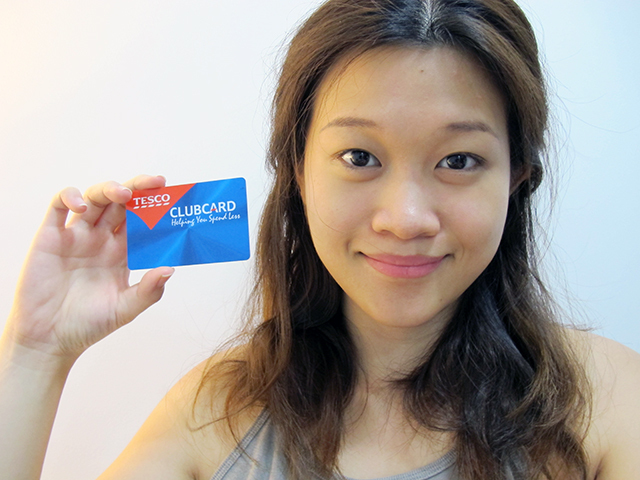 # – Me and my Tesco card! The husband used to shop online on Tesco all the time when he was still in UK and it was one thing he really missed – getting groceries delivered right to his doorstep. 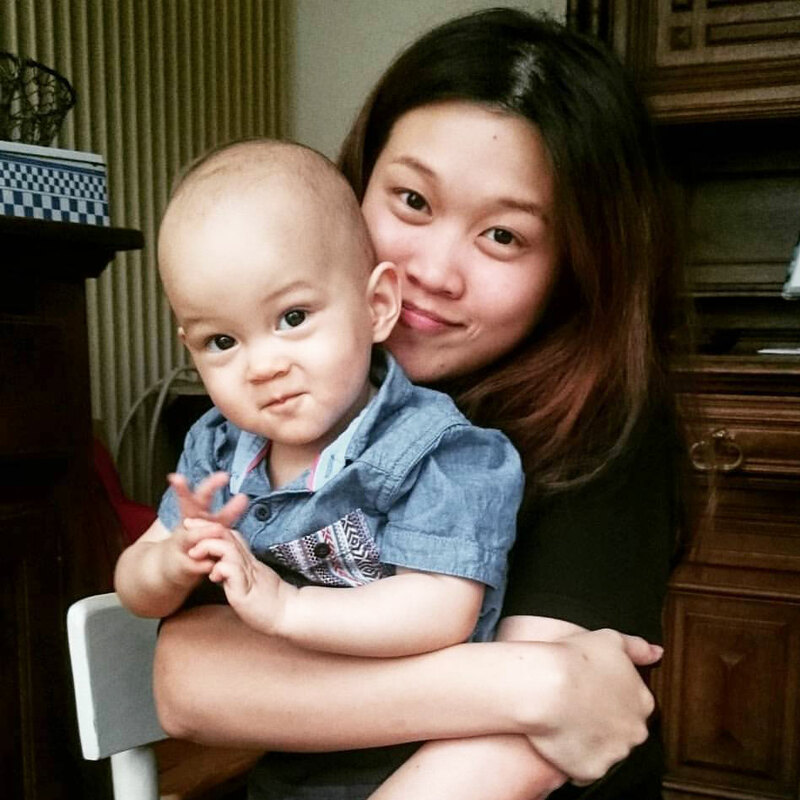 Now, we can enjoy the same privilege in Malaysia! To be honest, I was quite nervous initially about the entire shopping experience. But my first online shopping experience with Tesco proved me wrong – it was straight-forward, easy and entirely free of stress. Don’t believe me? 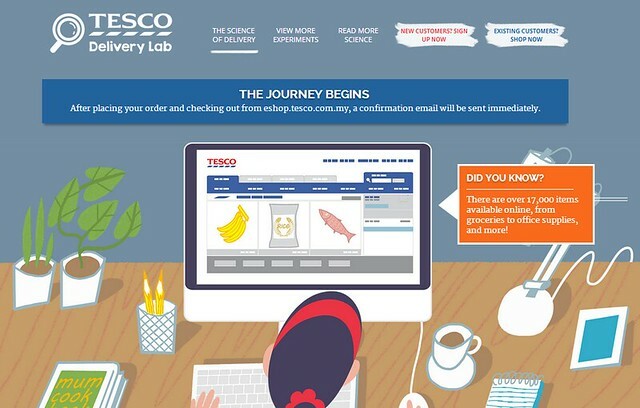 Check out Tesco Delivery Lab to learn about the entire process. # – Tesco Delivery Lab website…a fun and quick way to see how your entire online shopping experience at Tesco will be like; from product selections to processing to delivery to reaching your door. Did you know that your groceries are handpicked and are selected based on the highest level of freshness? 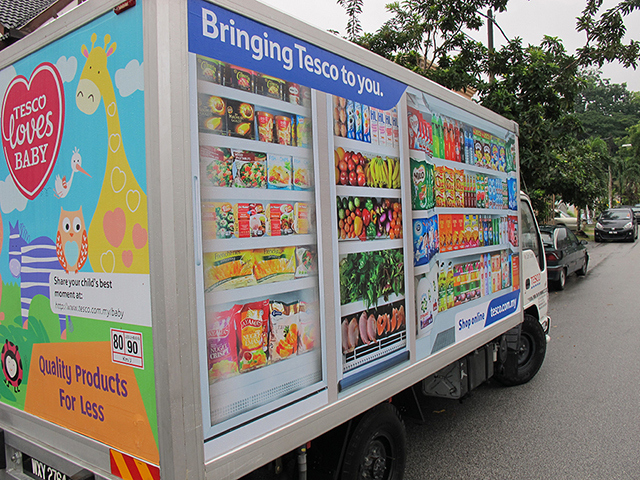 Also, all Tesco delivery trucks are outfitted with three temperature controlled compartments – Frozen (-16°C), Chilled (2°C), and Ambient (25°C)– to ensure that goods are delivered safe, fresh, and on time. 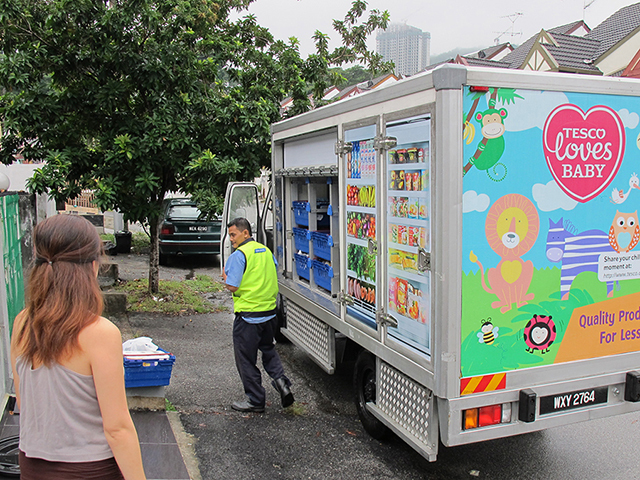 # – Check out the cool delivery truck that came to my house recently. You can clearly see the frozen, chilled and ambient compartments. When shopping online with Tesco, you can choose to pay with credit card upon checking out of the website or pay with credit card upon delivery of goods. There is no cash involved, so it makes all transactions safe and reliable. # – Thank you Tesco man! Recently, I have been enjoying online shopping on Tesco using their incredibly well-made mobile app too! Seriously one of the best mobile shopping app in the market right now.But I’ll talk about that abit later. Thank you Tesco for making my shopping experience with you even better now!